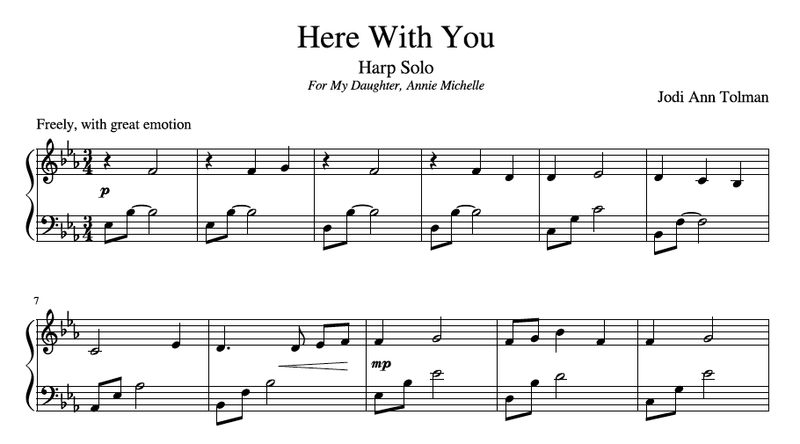 This is my second original composition for solo harp. I wanted to write a piece that is calm, peaceful, and reflective, but, like our lives, also has moments of uncertainty or sadness. 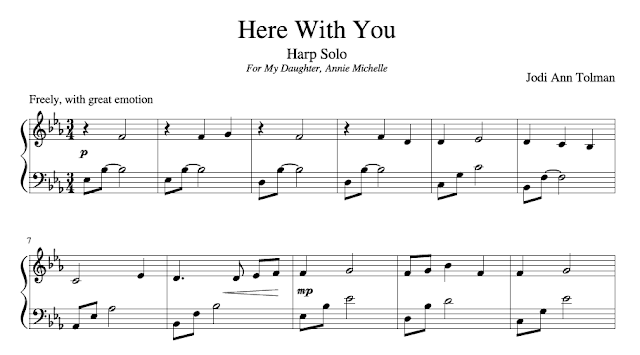 This piece is soothing to play and listen to and is perfect for many different situations including weddings, church services, or harp therapy situations. Learn more about Aicardi Syndrome at www.aicardisyndromefoundation.org. This is such a beautiful song. It really tugs at the heart. So heartfelt and beautiful, Jodi Ann! Nice tribute to your precious daughter! This is so beautiful. It made me cry just playing it for the first time. You can really feel the love. Thank you Jodi Ann (again! ).